December Bray I league match date change! Due to a conflict with Racketts’ December Worcester, the December Bray I league match will take place at Deanes on Sunday 7th – NOT the 14th as previously announced. Start time will be the usual 2pm. 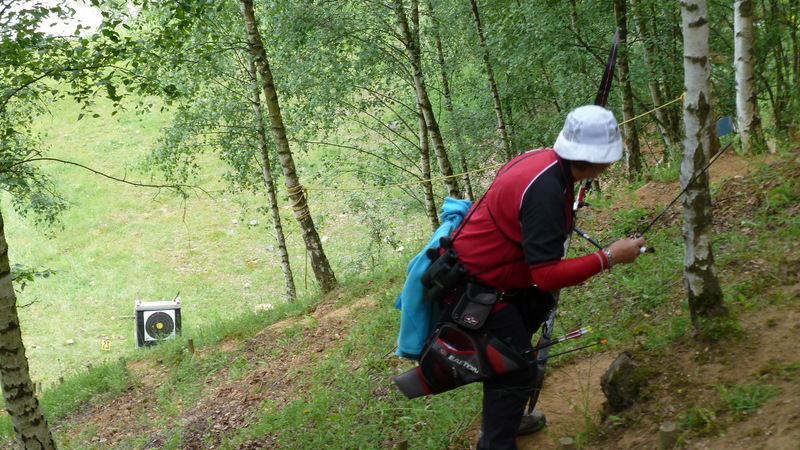 Our intrepid members Andy and Geri Reeves are no strangers to the wilds of European Field Archery tournaments, having competed on the continent for a number of years. These are 2 day competitions, with 24 targets each day, 12 marked distances and 12 unmarked distances on 20cm, 40cm, 60cm and 80 cm faces. Distances from 10m to 60m. You earn points at each competition which accrue over the series. They are very friendly and relaxed with archers coming not only from the 5 Nations countries but also from America, Finland and Italy. 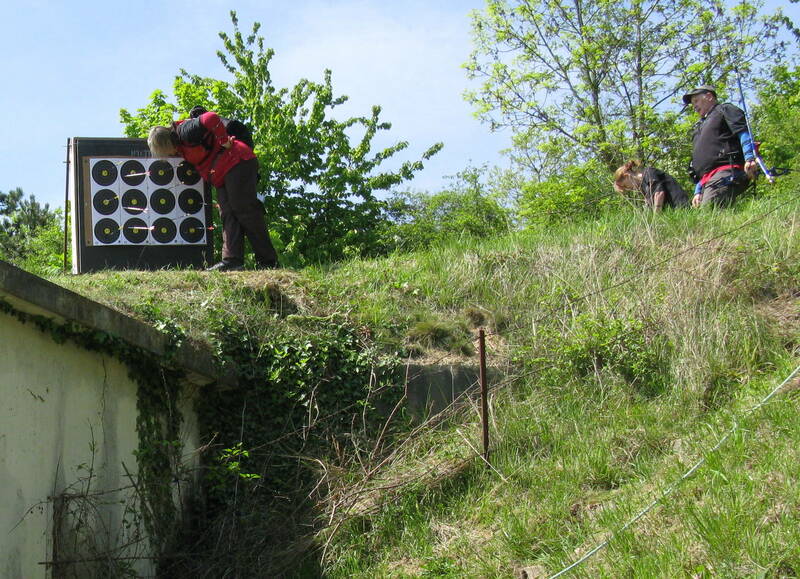 The courses are tough: steep up and down hill, shooting through tunnels or over the edge of a roof, but we really feel an achievement at shooting them. It is great fun and we have made many friends along the way. Belgium was technically laid out for professional compounds – I found it a difficult course: two targets in particular. One where I had to stand knee deep in a hole to avoid hitting an overhanging tree, and another where the target was directly above you (as in popinjay archery) – I am too short to get the angle! Andy tripped in the undergrowth, tumbled down a ways and broke 3 arrows. Ouch! I was the only Veteran lady there, but unfortunately no prize as there needs to be at least 3 competitors in each category. The pleasure is in shooting in and around a First World War fort, brilliant! Vertus is the easiest course of all, with fantastic views as you are shooting around an ancient mount and monastery site: the champagne fields go on forever. It’s the only venue where you have Champagne instead of tea half way round! Trier sadly I missed due to Leyton Orient making the playoff final at Wembley, this is usually my favourite and we are determined not to miss it in 2015. Obviously it’s the German beer on tap that keeps us going. Usually quite challenging and wet! If we haven’t slipped down and gotten muddy we are disappointed. Cadier en Keer is shot in an ancient quarry, which is physically the most demanding. I lost an arrow here, which a kind Belgium archer retrieved and gave to me at the next round in Esch. 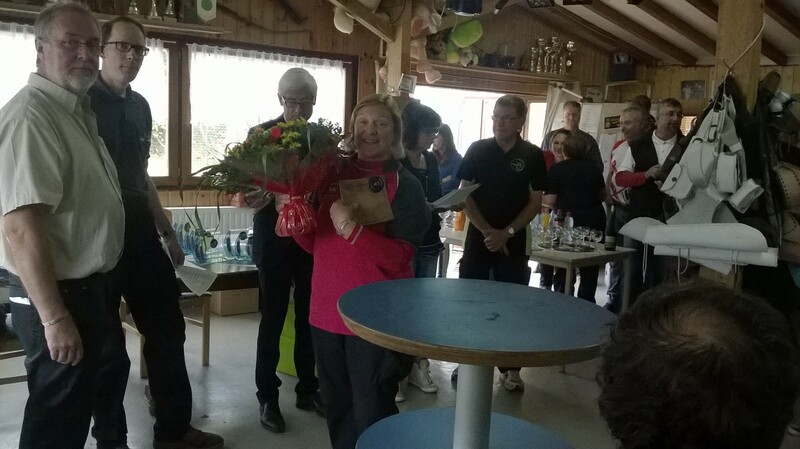 There is no veteran class at Cadier, so shot in the Ladies Recurve class and came 8th. We met 2 other English archers from Malgrave, the same gentlemen that introduced us to the European 5 Nations some years ago. Esch is the final competition, shot in and around hilly woods which surround their clubhouse. 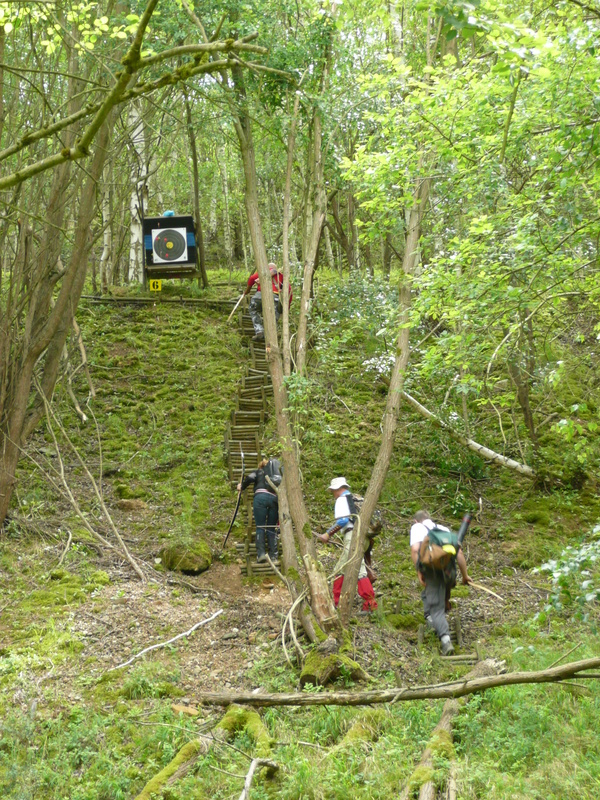 It is quite challenging, up and down hill, this is where the final results are worked out, and prizes given out. Having missed one competition, I finished 3rd overall across all 5 competitions, not bad for an old gal!. Our wish is that more archers from Britain compete: despite the expense such as travel, accommodation, food it they are very special events: in terms of sport and the social atmosphere. You don’t have to enter all 5, just one will get you hooked – we can’t wait for next year! Have a look at the European 5 Nations Website for more information. 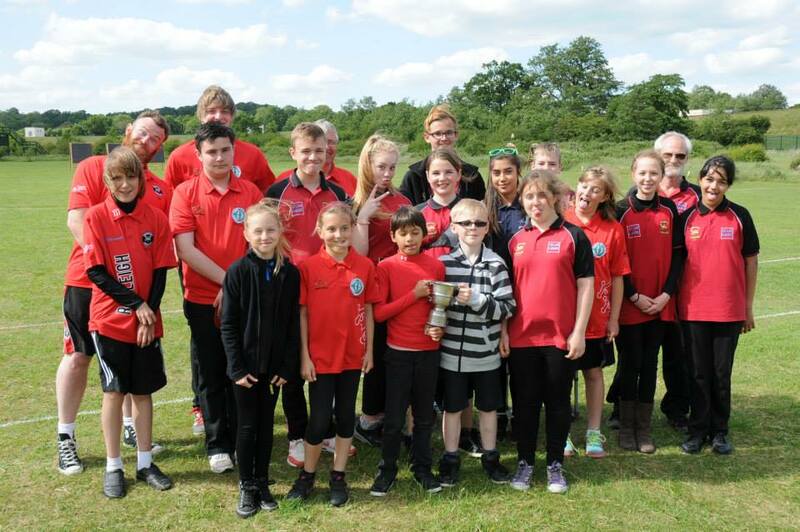 Rayleigh Town fielded a small group of archers at the 2014 Braintree Bowmen Portsmouth, taking place on 2nd November: and everyone came away with a medal! I was joined by Charlie D in the morning session, Charlie shooting for a new PB which he narrowly missed out on but finished with a decent 495 and a gold medal for his category! Well done sir! I shot my way to a session gold too, with a score of 583, but was booked for the entire day – two more sessions to go! Rowberrys Phil and Alex arrived to shoot in Sessions B and C, with Alex quickly staking his claim on category gold – another well done to Alex who scored 554 in the second stint for a new PB. Phil was shooting with new form and suffered slightly in the first session but he quickly recovered in the final round with an excellent 526. Finally, Alex, Phil and I were joined in the last session by the amazing newcomers Zep and son Sam. Zep shot a marvellous 541 to finish 17th overall while young Sam outdid not only those in his category (under 12 Barebow) but also most of the adults too, scoring an incredible 453 points to earn gold and claim a new County record! Brilliant stuff, Sam! There were other awards on offer, too: Alex and Phil claimed silver in the Family category while together Phil, Zep, Charlie and I were narrowly pipped to bronze in the team event by Braintree themselves – its only fair: they put on a great competition (well done you lot)! Braintree are staging a Worcester competition in February 2014 at their new ‘indoor home’: not to be missed! More information on their website, or contact Phil R for more details. 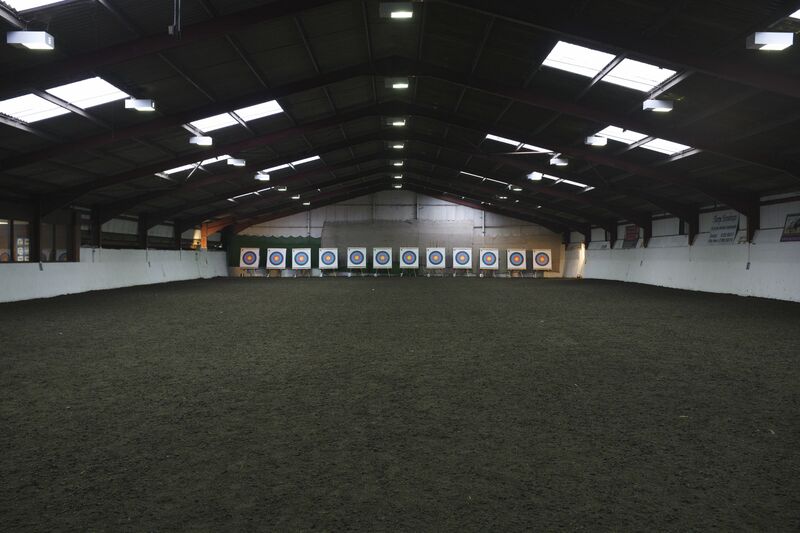 Over 20 of our archers took up position against big teams from around the county and beyond. 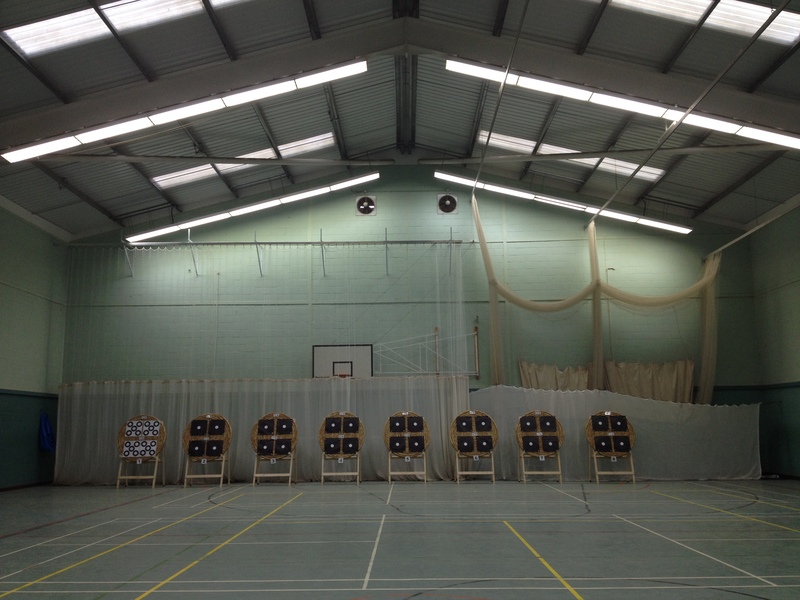 A new hall, good lighting, actually WARM for once and a great atmosphere amongst all the clubs. In the early session Mia C was shooting well on Target 1, next to me on T3 and Charlie D on T4, with Chris Clayton at the other side of the room alongside Paul West – making his competition comeback (so we can forgive his ‘walking off the line’ faux pas, even if Debbie won’t!). The opposition comprised almost entirely of Raydon Hall, Braintree Bowmen and West Essex: serious stuff. The midday stint saw fantastic Carmel set up her shooting stand flanked by newcomers Zep and son Sam in their first competition. While Sam coolly assessed the field of play, Zep admitted to some anxiousness – not helped by my complete brain-freeze when asked to explain the line position markers: I still can’t work them out. Further down the line we had Grace, Helena, Masters D and J Ashenden, Jason and Ali B, topped off by Lenni on T16. Not much room for anyone else, but the teams of Ardleigh, Darentford, Fox and Abbey, along with Noak Hill again fielded some strong shooters. Finally in the afternoon session, Mr and Mrs Martin pitched in, backed up by father and son archery super team Phil and Alex R amid the throng from Pilgrim, the Suffolk contingent Blue Arrows and formidable Grays. With the results now published, its clear that we had some awesome performances across all three stints: multiple gold and silver session medals along with overall silver for club team and at least 3 PBs…Ian and Carol narrowly missed out on 3rd place for married couple, too! Special mentions to the Birdsalls and Mia C for their first competition and some great scores – well done!